Wedding Makeup Austin: Do I Need Professional Help? Is Professional Wedding Makeup Worth It? Is your makeup high enough quality? One of the biggest reasons makeup done by a professional looks so much better? The products. A professional makeup artist will have that $60 foundation, and they’ll have it in a wide range of shades. Higher quality products will not only provide a more flawless look, but they will also last longer without slipping or smudging—which is exactly why makeup artists use them. If you’re using drugstore brands, they aren’t likely to have the longevity you need for all the wedding festivities. They’re fine for everyday use, but if you’ll end up going out and buying a full set of makeup for your big day, you’ll be better off paying the same amount and get their application services at the same time. How are your makeup skills? There are YouTube makeup tutorials out there for nearly any look, so if you’re already knowledgeable and decently skilled, it’s easy to think you can just go online to learn what you need. However, none of those tutorials are going to be geared toward your skin tone or face shape, so there is no guarantee they will work as well for you. If you don’t have the budget for professional makeup application on your wedding day, go to a local makeup artist and pay for a lesson. This way, you’ll at least get personalized lessons to implement. Did you hire a professional photographer? Photographs are memories of the day that you can hold onto forever—knowing how busy your wedding day is going to be, booking your photographer is probably one of the first things you did! Something to consider, however, is how your makeup will show up on camera. Professional photographers use cameras with much higher pixel levels than your cell phone camera, which means more imperfections are likely to be visible. A professional makeup artist will know how to layer on makeup so that it covers every imperfection without looking caked on. How does your skin handle stress? Any bride can tell you there are roughly a million and two things to take care of leading up to the wedding day, and most of those will come in the week before the ceremony. Do you tend to break out when you’re stressed? Do you go all red and blotchy or get deep purple bags under your eyes? You certainly don’t want any of that to show on camera. Most makeup artists offer a pre-event run through. At this time, they will not only go through a full wedding makeup look, they’ll offer suggestions and options to help prevent as many of those skin struggles as possible so you can enjoy your best skin on your big day. How busy will you be? If you’re planning to DIY as much of your wedding as possible, you’ll likely have a lot to do last minute. If you’re decorating the reception area, creating favors, and so on, all those tasks will add up to raise your stress levels sky high. Even if you aren’t, most weddings come standard with plenty of things to worry over. Professional wedding makeup can be the best answer to all of that crazy. They will come to you and pamper your skin, giving you a chance to stop, breathe, and relax before your ceremony begins. You know how relaxing it is to have your hair washed at the salon? 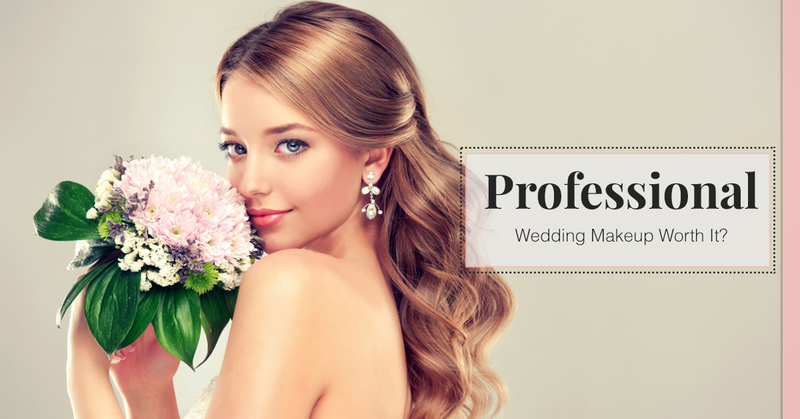 Think of professional wedding makeup as a “treat yourself” moment. If you’re looking for professional wedding makeup help in the Austin area, trust your wedding day look to the best. 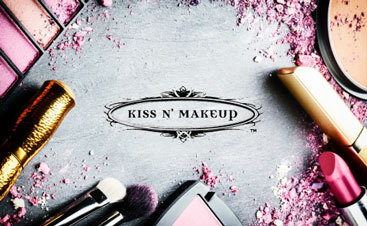 Contact the Kiss N’ Makeup team today to schedule your trial run!